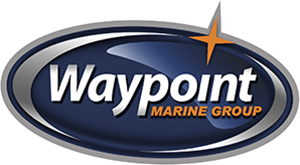 Waypoint Marine Group has a wide selection of ZAR Boats and We provide the best Repair services in Seattle. ZAR 61 is yet another featured product. All components perfect balance is the value of this wonderful R.I.B. Easy on tow and for garaging, the ZAR 61 with a length of six meters offers to all its guests all the places and the comforts for a fi rst quality life on board. There are ten peaks where You can stow unthinkable quantity of things, eight/nine forward running seats made with an anatomical profi le, two huge sun beds bigger than in a two double bed, a two seaters console as comfortable and functional as in a Luxury Car,and a driver’s couch carefully studied for a perfect driving position (standing up or sitting down). The ZAR 61 design is the most modern and practical one today available. And most of all is there a hull of a seven meters R.I.B. : long and deep for a very soft and dry impact on the waves, fast and safe also in the worst driving conditions, nimble and manegeable in the port manoeuvres. The ZAR 61 confirm and exalt the excellent marine performances of all the others ZAR models, without loosing safety and comfort, the most important ZAR project goals.